The road construction project on Alton Road is addressing road drainage problems in South Beach and should help prevent flooding during high tides in the future. According to The Miami Herald, the $32 million dollar project was originally supposed to be completed by August 2015. However, earlier this week the Miami Beach government announced that it will help expedite the work and complete all construction by December 2014. If you’ve worked, lived, or vacationed in South Beach at anytime over the past couple of months, you’ve most likely endured spontaneous detouring, heavy traffic jams and endless road rage coming from all directions. Drivers, landlords, business owners, tourists and residents have all been suffering from street closures so yesterday’s news about the project getting expedited couldn’t have been more welcome! As reported by The Miami Herald, Mayor Levine announced that the state had agreed to speed up construction after he and city representatives met last Thursday with Gov. Rick Scott and other state officials. 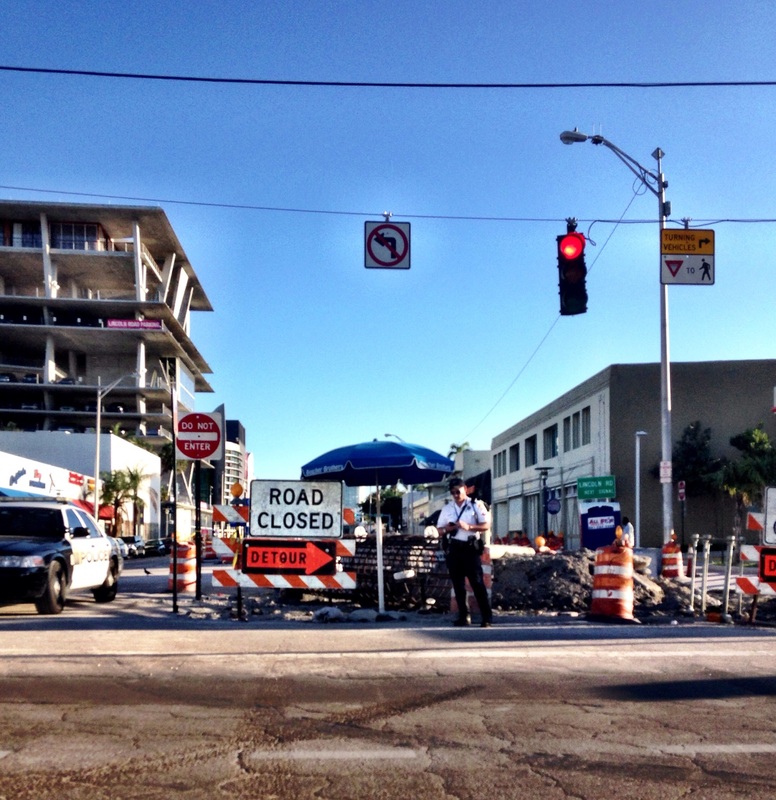 Meanwhile the City of Miami Beach will be doing everything possible to help customers get to the shops and restaurants affected by street closures. CBS reports that a free trolley service is now operating from Fifth Street to Lincoln Road, along Alton Road and West Avenue, with 21 stops along the way in an effort to improve accessibility. As an added bonus, trolley riders are welcome to park at the Alton Road as well as Fifth Street Parking Garages free of charge. Let’s Bring Uber to Miami! I had heard a lot of buzz about Uber and I am now glad to say that I just had a first-hand experience using the transportation app on a recent trip to New York. I was about to take a cab into the city when my friend Stevie suggested that I use Uber, he said “Uber is paramount to the invention of the wheel in terms of an advance in modern transportation”. I gladly listened to his advice. It took less than five minutes to download the app, put in my credit card info and like magic (BAM!) an Uber car appeared. For those of you who don’t know, Uber is an incredible taxi/car service which fully functions via an app. 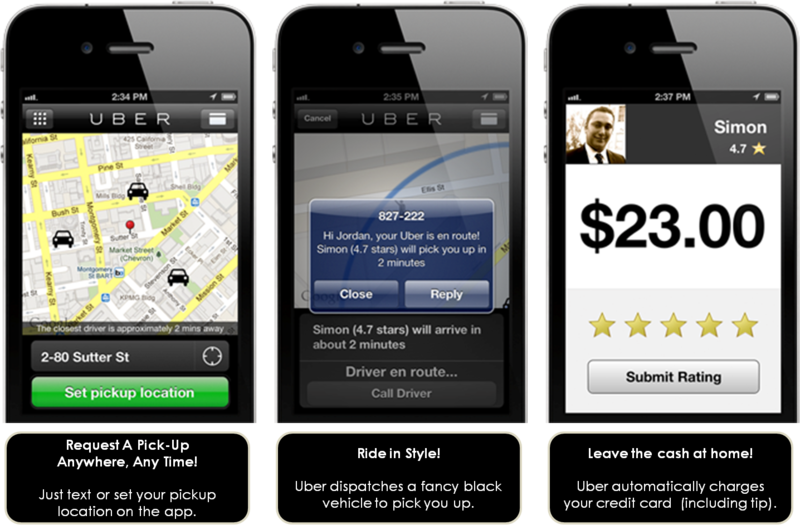 When you open the Uber app, you choose between a taxi, a black car, or an SUV. The base price, price per mile and price per minute will then be displayed. The app will also give you a price quote based on your destination. Uber uses GPS to show your location as well as the closest car option. Based on your car choice and location, it will give you a fairly accurate time estimate of the driver’s arrival. Uber will then display a picture of the driver you choose along with his/her rating (five stars being perfect) so you know exactly who is coming. Should you need to contact the driver, you have the option to either call or text message the driver. Once the driver is on his way, you can watch as a small car inches towards your location on the map. A text message alerts you that your driver has arrived. The best part comes next: When you reach your destination, simply exit the car and your credit card is charged the fare + 20% tip. You do not need to sign anything, make change, or even show your credit card. Immediately after the trip has ended, you will receive a text message receipt of the exact amount charged. 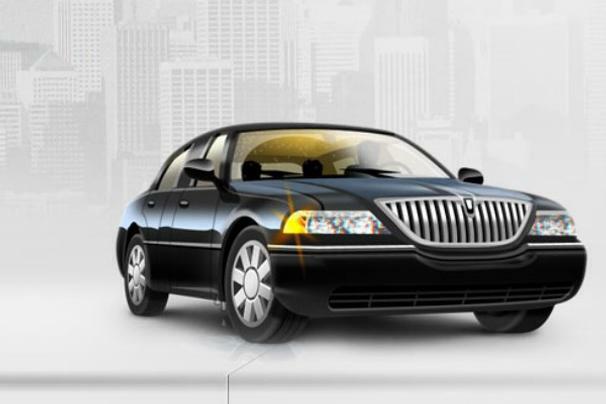 As a result from the rating service, the drivers are all very courteous and pick you up in extremely clean cars. Here is the bad news. Although Uber wants to come to Miami, our current taxi/car service regulations do not allow for the service to operate here. I say if it is good enough for NYC and if it is good enough for San Francisco, then let the service operate and have the market decide! The taxi situation in Miami is a disaster, particularly at peak times and busy weekends which is exactly when Uber is most useful. It is well known that Miami has a bad reputation for dirty taxis and equally as many rude drivers. Uber is the yelp of transportation and forces accountability on a broken industry. This is not just a blog post about a great service but a call to action for anyone in Miami who has ever waited over an hour on a rainy night for a taxi, for anyone who has ever had to walk 30 block on New Year’s Eve and for anyone who has sat in a foul-smelling cab with no AC and a rude driver. 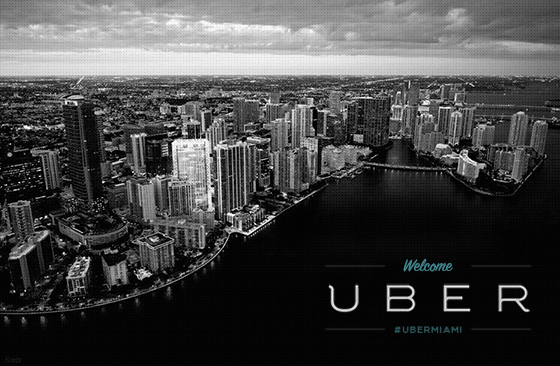 Please follow Uber Miami on twitter and support them in their quest to bring this great service to Miami. If there is one food I pride myself as an expert with, it has to be pizza! During my college days, I even wrote an in depth research paper on the history of pizza. Although NYC has us beat on the best slice, Miami Beach does have some great options! Bella Napoli Pizzeria is a Hertzberg family favorite. 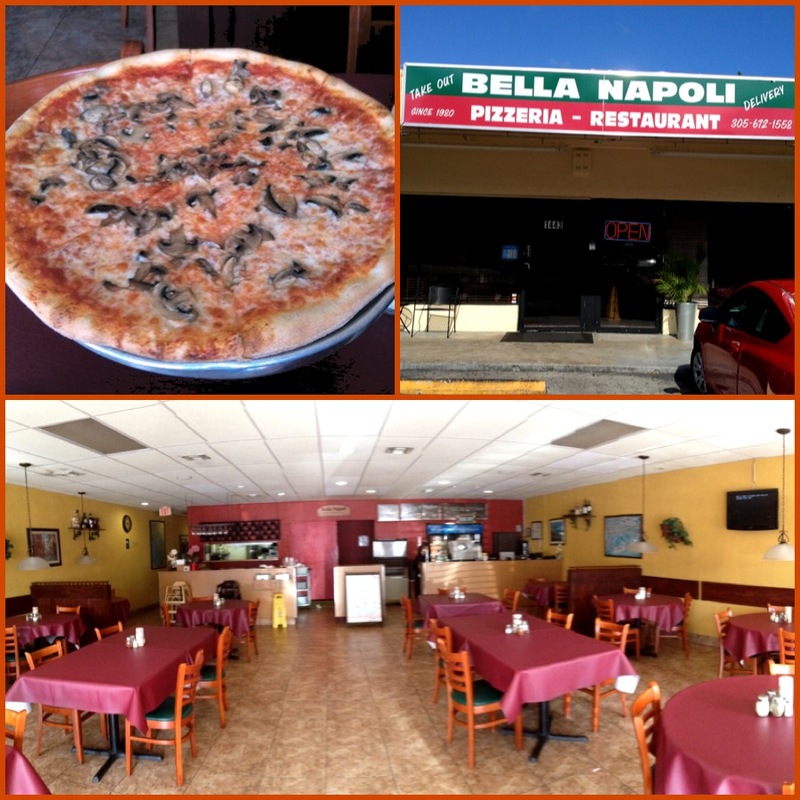 Since 1980 Bella Napoli has been bringing in the locals and it’s a known hang out for Miami Beach police officers and south beach locals. It’s a delicious go-to hole in the wall spot, family owned and operated. I like their pizza and they have a good chicken cacciatore but the real highlight is their minestrone soup, they make it from scratch. Plus the pizza seems to travel well with delivery. So that’s Bella Napoli, nothing fancy, plastic checkered table cloths and that kind of thing. Piola, really good salads. Cool place to eat. Have a glass of wine and a pizza. Their pies are thin, crispy and come right out of the wood burning oven. 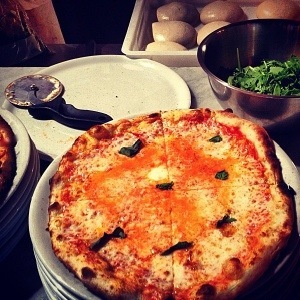 The pizza is best eaten at the restaurant as it doesn’t seem to travel very well. Maybe because it’s so thin? Who knows, but it is good! I also like Pizza Fusion. 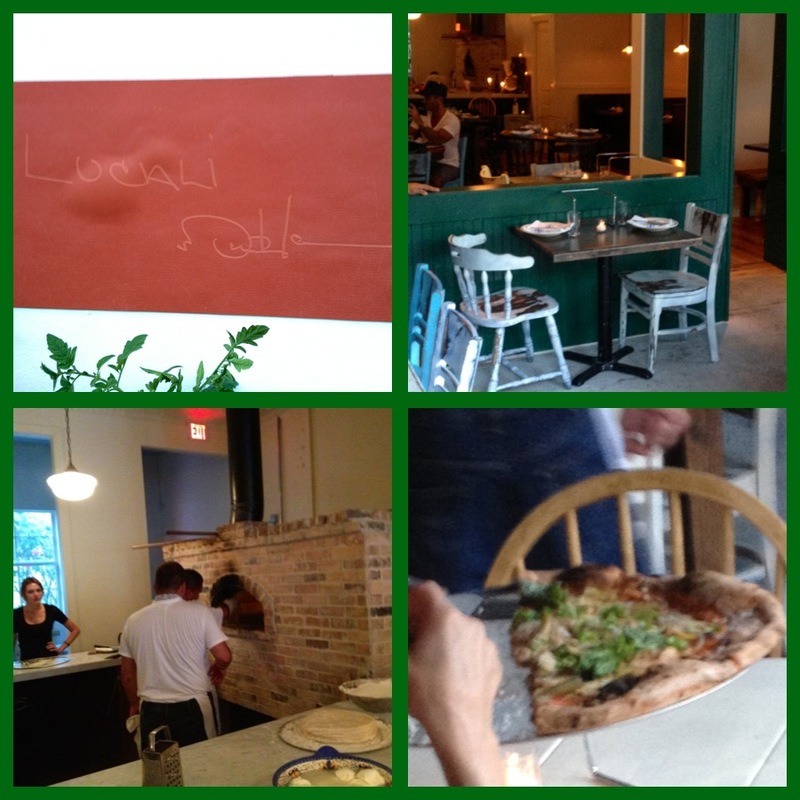 Similar to Piola with good salads and GREAT pizza that also does not travel well… at all. However, on the plus side they only use organic ingredients and even have a gluten free option! 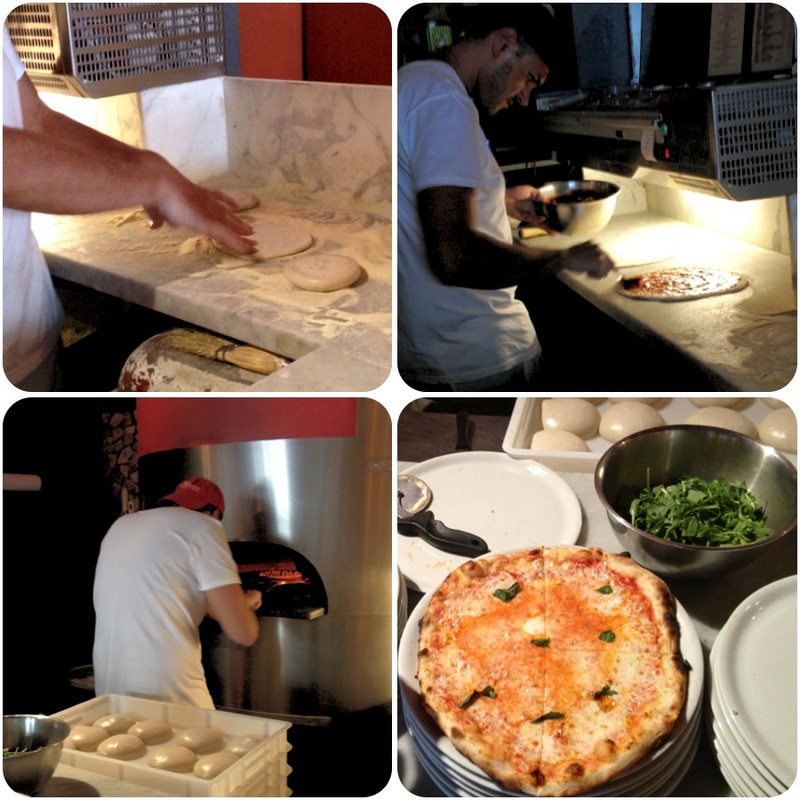 Primo’s south of fifth is a Miami Beach original and is open until 5am on the weekends. 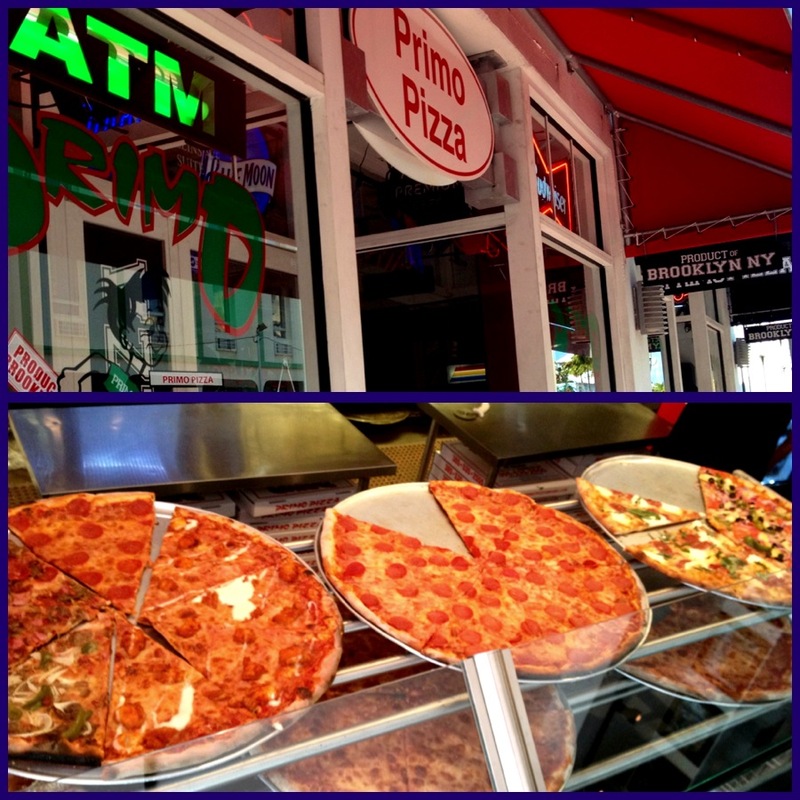 Primo’s boasts that their pizza is a “Product of Brooklyn” and the big (greasy) New York style slices are great. 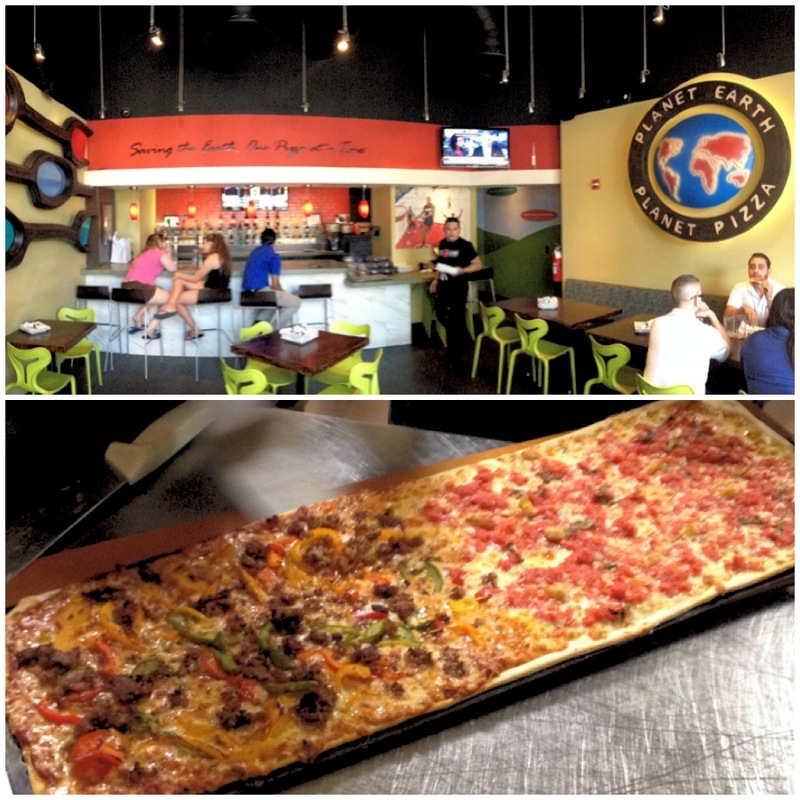 Pizza Rustica first opened on Washington Avenue and has now grown to a couple of locations nationwide. Not my style but I have to put it on the list just because they have such a large cult following. You’ll find square pieces done in an almost Chicago like style. 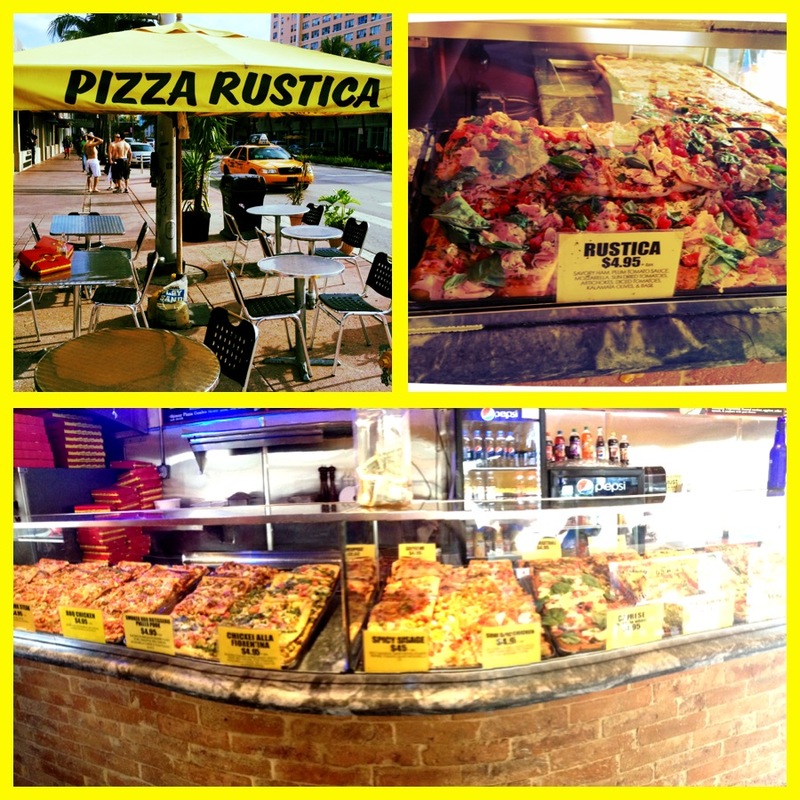 Pizza Rustica is open nearly 24 hours and seems to be enjoyed by locals and tourists alike all day (and night) long. Lucali is a very new addition to the pizza scene, recently opening a second location straight from Brooklyn to Miami Beach’s growing Sunset Harbour area. Very cool décor, cool vibe, cool place, but that is an expensive pie! It’s a 27 dollar pizza and an extra three dollar charge for each topping so I think I ended up with a 33 dollar pizza. It was a pretty good pizza and I enjoyed it but the jury is still out on this one. This last spot to make the list isn’t exactly on South Beach but if you are up to a short drive, Anthony’s Coal Fire Pizza is hands down the best pizza in Miami. It’s crispy and can be complimented with great sides, great salads and they make amazing baked chicken wings…the chicken wings are really really good, on par with the pizza. I don’t think they deliver but they do take out. Perfect Sunday night kind of spot. Enjoy your new found pizza joints and as always please leave comments and suggestions, I will be glad to see them! A couple weeks ago, some friends and I decided that a weekend trip to Key Largo was in order. Our agenda was simple: an afternoon of boating, snorkeling and fishing, a great dinner of fresh, local catch, and of course, no trip to the Keys is complete without a slice of homemade key lime pie. What a lot of people don’t realize is that Key Largo is surprisingly close to Miami; if you leave before or after rush hour, you can get expect to get there in roughly an hour and change. We arrived on Friday night around 9pm and grabbed a quick dinner nearby. Our hotel, Azul Del Mar, was fantastic. Situated on a quiet, secluded lot right on the water, Azul consists of a handful of small bungalows and lush, tropical surroundings. The rooms are clean and cozy, and the property features an inviting hammock and various chairs and chaises to watch the sunset. On Saturday morning, we started the day off right with a hearty breakfast at “Harriette’s.” (Don’t be thrown off by the little gingerbread men greeting you on the front door and windows – this place is legit). The service was good, the food was great (the biscuits are INSANE), but the best tip we got was to try out the fresh, homemade muffins. We were tempted by all the exotic-sounding flavors, but decided to go with the classic key lime. It’s almost unfair to call it a muffin – it’s more like a cake, soft and moist, infused with key lime syrup, and topped off with powdered sugar. In one word: spectacular. It was just what we needed to kick off a long day in the sun. With our bellies full, we headed over to Lorelei Marina in Islamorada to meet Captain Kelly of “Two Chicks Charters.” Kelly is eccentric but kind and determined to show you a great time. Bring an iPod and she will happily play your favorite tunes. She took us right to a little spot where she said we could see dolphins and sure enough, a family of dolphins appeared before our eyes, giving us a private show out in the wild. We snorkeled, fished, and chilled out at a great sandbar. All in all, it was a perfect boating day. After taking in a beautiful, pink Key Largo sunset back at Azul, we had an incredible feast at The Fish House, a local staple since 1987. The staff was friendly and informative, the atmosphere was relaxed and very “Keys-y”, but most importantly, the fish was fresh and absolutely delicious. I highly recommend their signature dish, the “Matecumbre” – fresh catch, baked and smothered in fresh tomatoes, capers, shallots, basil, olive oil and lemon juice. We topped off the meal with a slice of ice-cold key lime pie – the perfect end to an amazing day. On Sunday, before heading back to reality, we stopped by the Dolphin Cove for a swim with the dolphins. It was an incredible experience and the trainers were friendly and knowledgeable – I would definitely recommend it to anyone looking to cross this off their bucket list. A few weeks ago I posted a “sneak peek” of my long weekend in Negril, Jamaica. It was a spontaneous, much-needed getaway, which turned out to be exactly what I needed. If you are contemplating a vacation or extended weekend away any time soon, here’s why you should make Negril your next destination. Why Negril? One word: easy. Although it might not seem like the ideal place for a quick getaway, Negril is actually a quick 1 hour and 15 minute direct flight from Miami to Montego Bay. 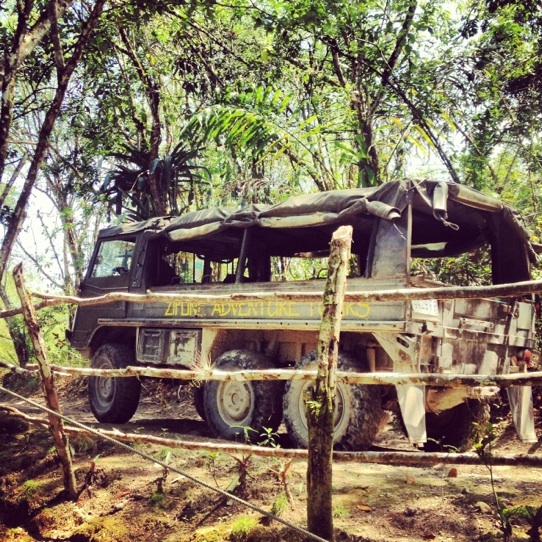 Once you land, take a shared van for about $25 per person. The ride is 1-2 hours depending on traffic, but it’s a scenic route with plenty to see and take in. (Sidenote: once in Negril, hit up our man Tony as your driver, a rare gem amongst Taxi drivers. 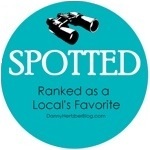 Very knowledgeable about local spots. Example: “Where can we buy the best mangos?” Present him with a Cran Wata (cranberry water) to get on his good side. His number is (876) 893-4645 ). We stayed at Rockhouse Boutique Hotel and Spa and highly recommend it. This spot offers amazing villas right on the cliffs overlooking crystal clear water. It’s very private and peaceful, providing access to the water right from your villa: use the ladder or jump from either the bridge or cliffs into the pristine water and explore the reefs and caves. An outdoor shower at your villa awaits after your saltwater swim. The Rockhouse staff is amazing. Want a plate of chilled mangos delivered to your room at midnight? “No problem, mon”. The spa will even accommodate your massage right on the cliff’s edge. As for food, Rockhouse features two great restaurants on location. Push Cart Restaurant and Rum Bar offers delicious local food. 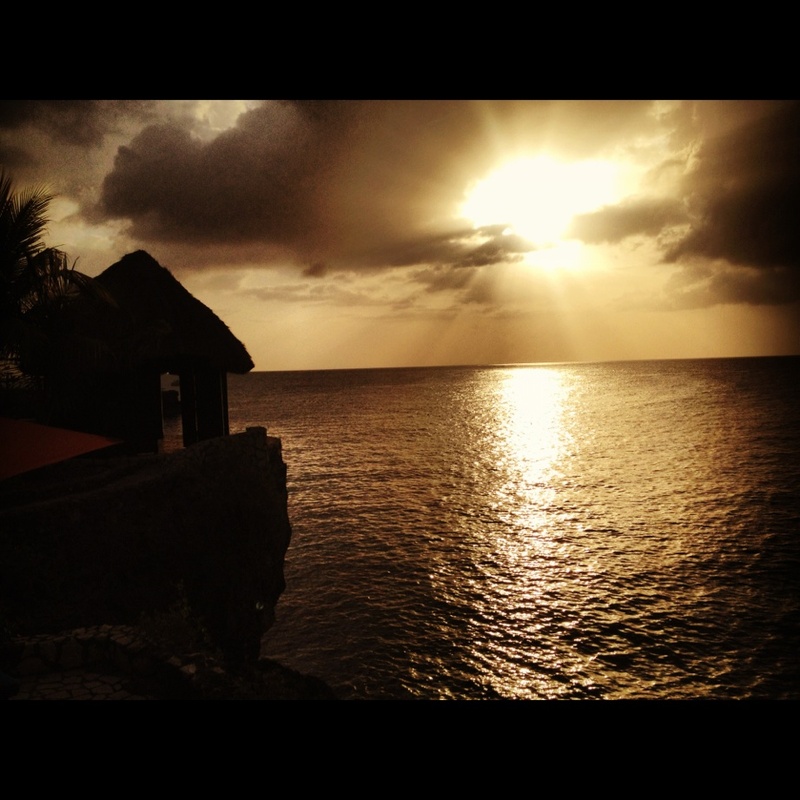 For an unforgettable sunset experience, check out Rockhouse Restaurant and Bar. I really enjoyed the jerk tacos (ask to add mango chutney and fried plantains). 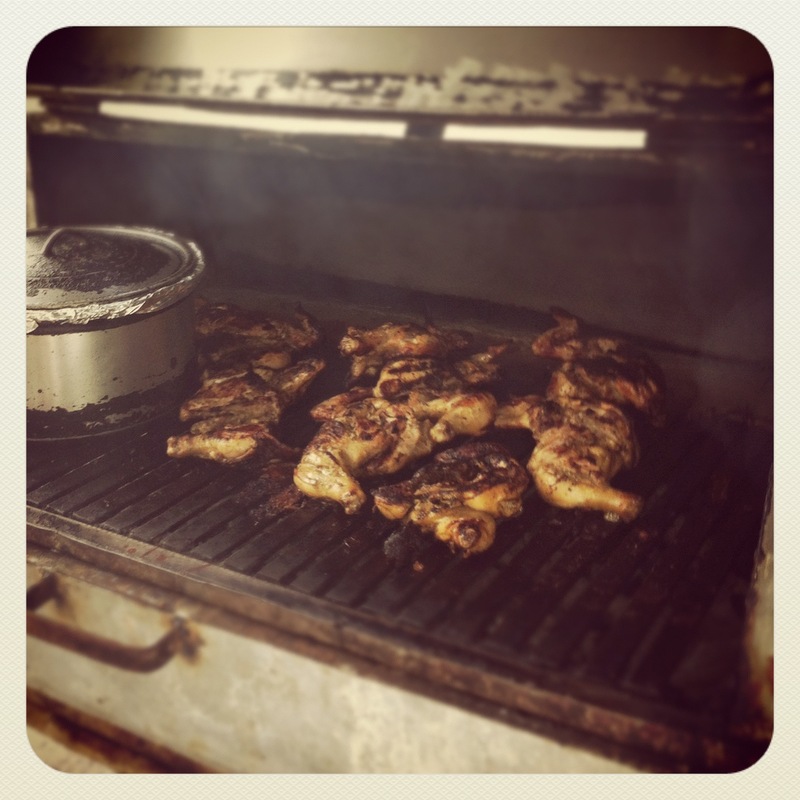 Great offsite eats include Three Dives, a spot favored by both locals and tourists alike for its jerk chicken. The jerk chicken at this ocean-side shack was hands down the best we tried. Don’t go too early because the grill gets fired up around 3pm. Another noteworthy restaurant is Catch a Falling Star; here you enjoy a charming ambiance and outdoor seating at the cliffs’ edge while your local snapper dish is served to you in a papaya bowl. There’s really no need to leave “The Rock”. However, if you choose to venture into town for some local flavor, hustlers are very persistent. Use humor to quickly ward them off, or just a simple but firm “no thanks” does the trick. No need to exchange US dollars for Jamaican money but do be sure to carry small bills as places often only accept cash. Fun fact about Negril: Patwa, the local language is made up of English words and slang in a Mad Gab fashion. 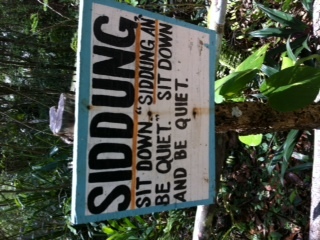 (Example: be quiet would be “kippa” as in “Kippa ya mout shut”). Try listening to culture music and attempting to decipher words. I recommend downloading some “I Wayne” music or better yet, stop by Alfred’s or Bourbon for some live reggae and culture music. Negril offers plenty of activities after you’ve had your fill of downtime. If you feel especially adventurous you can go scuba diving at Negril Scuba Center. If you are new to scuba diving as my girlfriend was, you can sign up for an hour pool scuba training course followed by an hour supervised dive. American instructor, David Wallace, was patient, safety-minded and informative. The pool could use a cleaning but otherwise we would give the program 5 star rating. 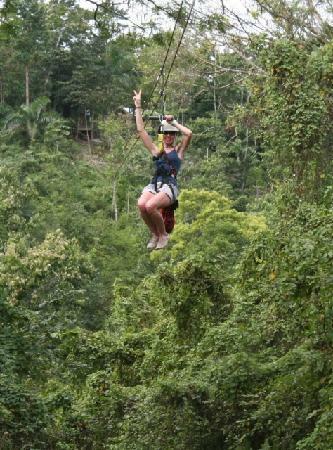 Another noteworthy activity is the zip line tour. During this two hour tour, a quirky staff takes you on a bumpy truck ride to some seriously long zip lines and amazing views. The company can pick you up from your hotel in Negril, but if you prefer to arrange your own transportation, try to get a jeep as the roads are pretty bad. We did this trip on our way back to the airport – a memorable ending to an unforgettable weekend in Negril. Last weekend I took a spontaneous trip to Negril, Jamaica for a little R&R. Just a 1.5 hour flight from Miami? It’s a no-brainer if you’re looking for an easy getaway and something a little different. I’ll be posting more details soon about where to eat, what to see, and where to play in Negril. But in the meantime, enjoy these pics I snapped and ask yourself why you’re not there right now.